People who inject drugs (PWID) are more likely to develop hepatitis C. The Centers for Disease Control and Prevention (CDC) points out that the virus can survive on equipment, such as needles, for up to three weeks. However, some of the different hepatitis C genotypes are more prominent in certain areas than others. 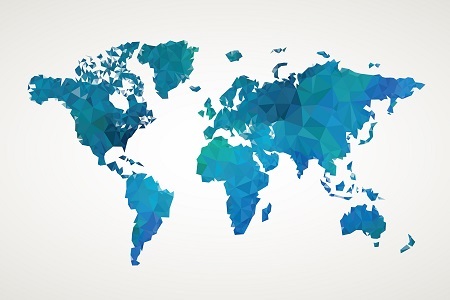 A report published in the Journal of Hepatology uncovered the distribution of hepatitis C genotypes by continent in PWID. “Overall, the most important differences comparing with the general population are a lower prevalence of genotype 1b in the PWID population and higher prevalence of genotype 1a and 3,” the researchers explained. More specific findings revealed that although genotype 4 is known as the “African genotype,” there is little data on PWID – but the studies still found that it’s prominent in Africa. In addition, a few of the studies concluded that genotype 2 is highly prevalent in Japan. Further discussion suggested that opiate drug trafficking routes from India to Afghanistan into Europe, and then onward to North and South America and Australia, could explain the spread of genotype 3. Genotype 6 was primarily found in Vietnam and China. Less than 2% of hepatitis C cases in the United States involve genotype 5 or 6, according to Hepatitis C Online from the University of Washington. This data provides insight of hepatitis C genotype distribution in PWID; therefore, cases may vary among those who do not inject drugs. Should Generic DAAs Be More Widely Imported?